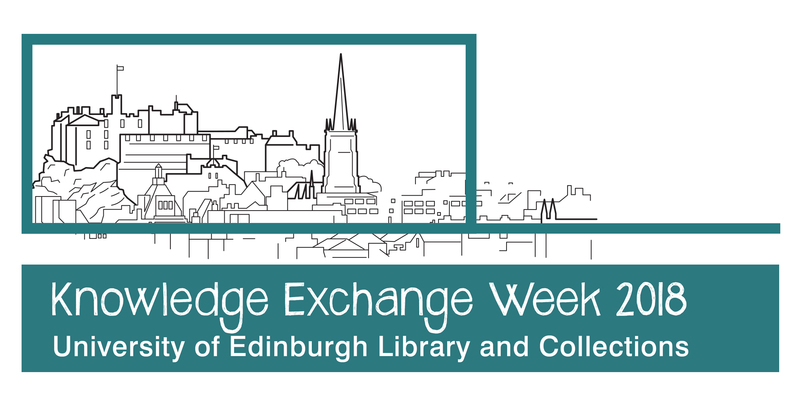 Knowledge Exchange Week 2018 - twin track programme: a General Library strand and a Digitisation strand. Following on from the success of our previous two Knowledge Exchange Weeks, we are delighted to announce that we will be hosting a third programme in June 2018. For the first time, we will be offering a twin track programme: a General Library strand and a Digitisation strand. The General Library Programme is aimed at Library and Cultural Heritage Professionals from all backgrounds and career stages. This exciting summer programme provides a unique opportunity to listen to speakers from across Library and University Collections and gain a hands-on insight into the work that we do. There will also be opportunities to visit other cultural institutions across Edinburgh and discover more about our beautiful city. In addition, and for the first time, we will be running a parallel Digitisation Skills Week for staff working in or developing digitisation within libraries and cultural heritage. This programme is aimed at staff who are relatively new to the field and who wish to learn about the University's work in this area and to share knowledge and best practice with colleagues from across Europe. Elements of the Digitisation Skills Week will be joint sessions with the General programme. There will be 12 places on the General strand, 8 on Digitisation.